The works of American novelist Ellen Glasgow constitute a social history in fiction of Virginia from the Civil War to World War II. Her novels are distinguished in style and conception. Ellen Glasgow was born on April 22, 1873, in Richmond, Va. Her father was a Scotch-Irish Presbyterian who "never committed a pleasure." His wife was a woman of "laughing spirit" whom he neither understood nor appreciated. Ellen's childhood was marred by her parents' misalliance (a subject her fiction frequently reflected), but her youth was secure and privileged, and she acquired a good education under private tutors. Political economy was Glasgow's special interest. Before she was 20 Henry George's book Progress and Poverty converted her to Fabian socialism, though she remained hostile to the idea of revolution. Cruelty, greed, and intolerance were the real adversaries of mankind, she believed. Her novels led Southern fiction away from the accepted lies that the enemy was the North, the nouveau riche, or black people; they showed that the foe was not without but within. Shortly after her mother's death in 1893, Glasgow finished her first novel, The Descendant, which was published anonymously in 1897. Perhaps the young woman approached writing with such professional dedication because an affliction, deafness, seemed to make "normal" life impossible. "At twenty-two," she later wrote, "I told myself that marriage was not for me." Love was another matter, however. When Glasgow returned from a trip abroad in 1899, she met a man in New York, whom she calls Gerald B——in her autobiography. She almost forgot her deafness and made the most of her personal gifts: beauty, gaiety, and wit. Gerald B——was married, but the affair evidently brought the young writer a new sense of her power. The novels of this period, The Voice of the People (1900), The Battleground (1902), and The Deliverance (1904), reflect this new-found power. Gerald B——died in 1905. Glasgow's next books may reflect that loss, but by 1909, when The Romance of a Plain Man appeared, she was clearly in control of her art. The year her father died, 1916, saw the publication of Life and Gabriella, which studied the character of Southern women. In 1917 she became engaged to Henry W. Anderson, but the engagement was finally broken. Barren Ground (1924), The Romantic Comedians (1926), and The Sheltered Life (1932) are three of Glasgow's best novels. In This Our Life (1941), her last novel, received the Pulitzer Prize. A Certain Measure (1943), her critical writings, was the last book published before her death in Richmond on Nov. 21, 1945. 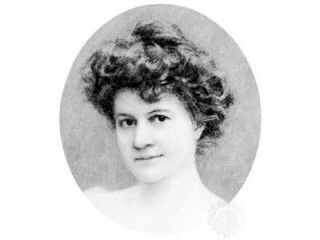 View the full website biography of Ellen Glasgow.